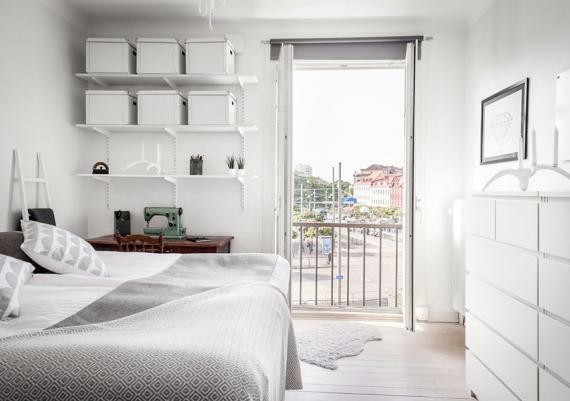 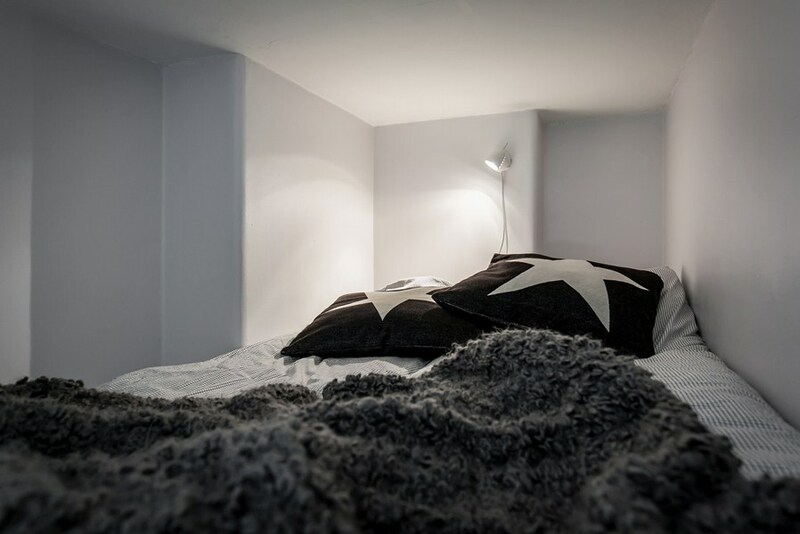 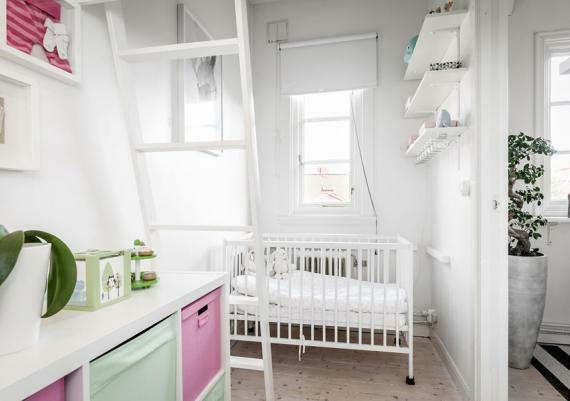 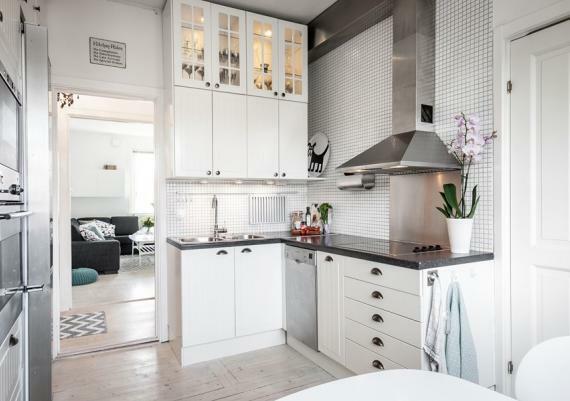 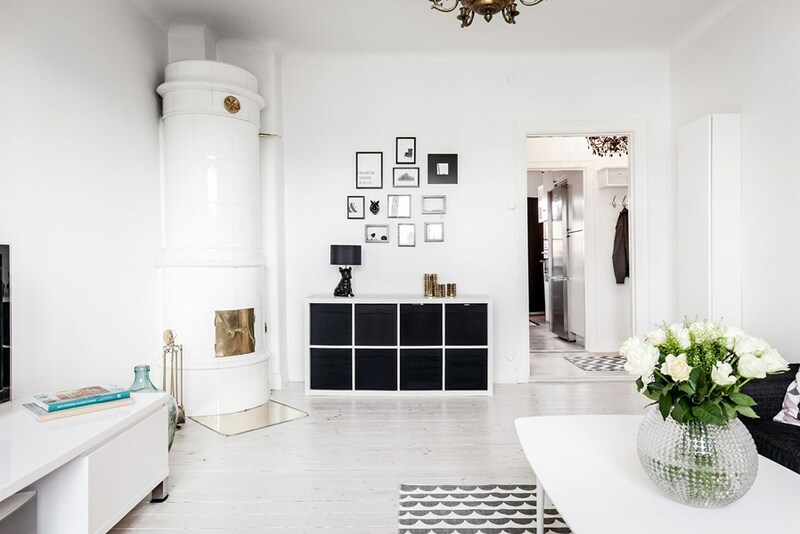 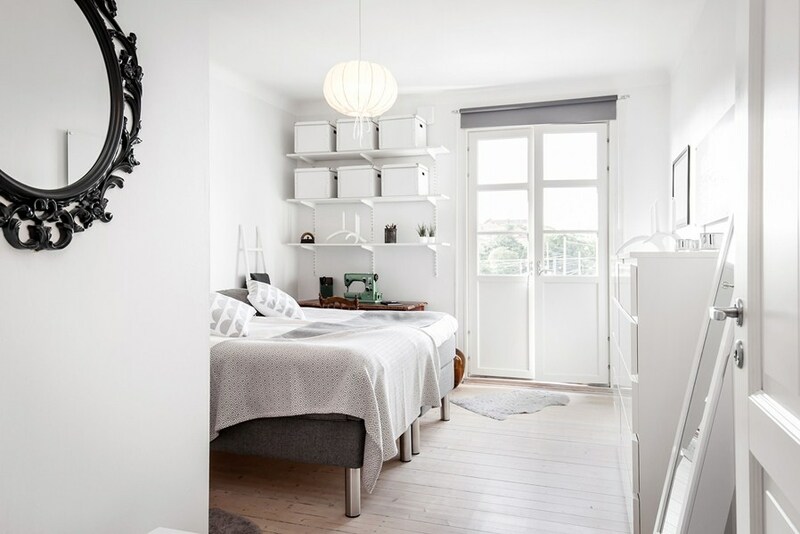 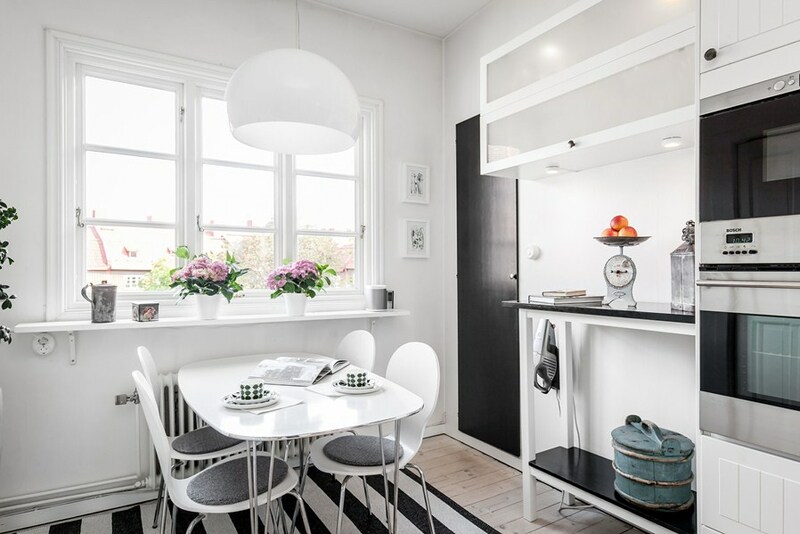 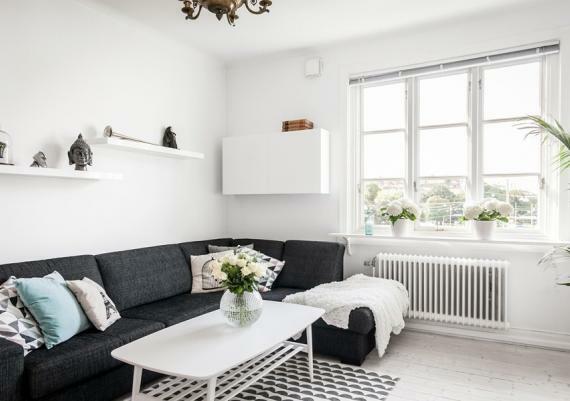 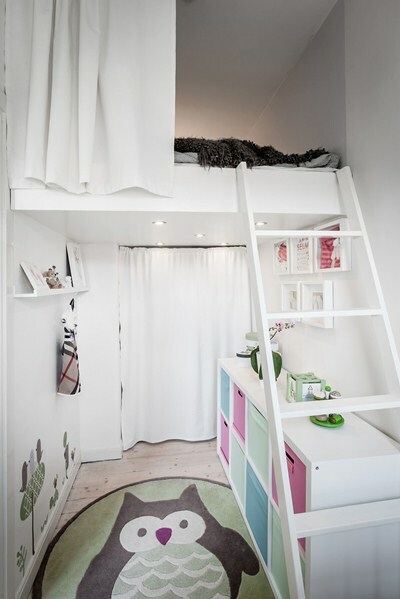 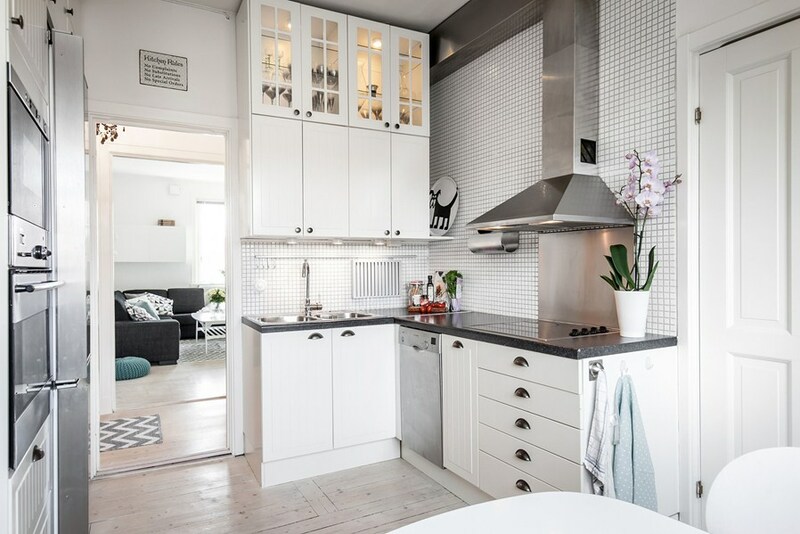 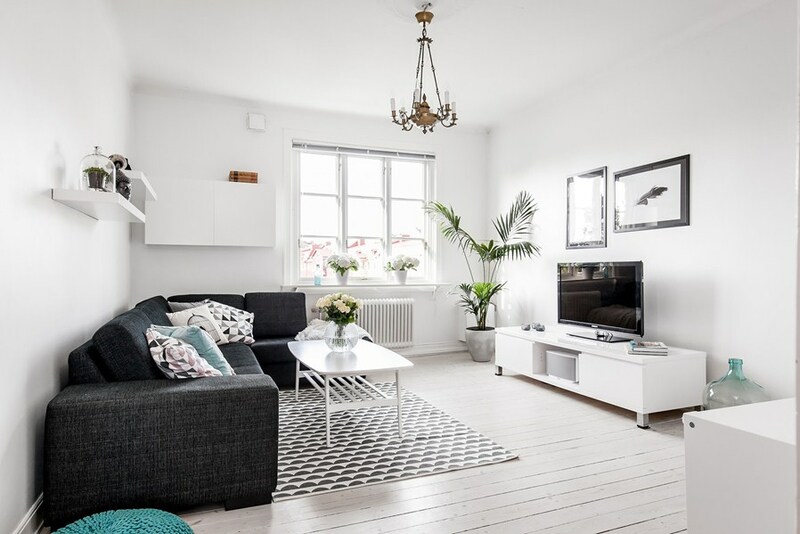 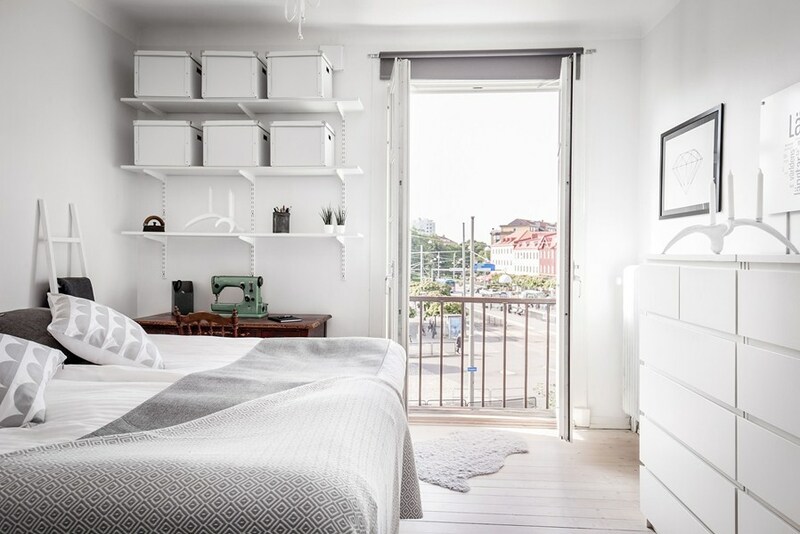 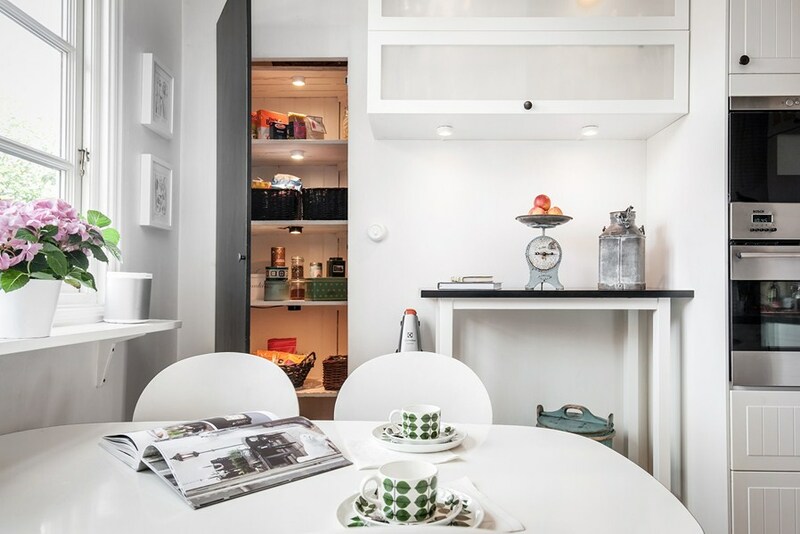 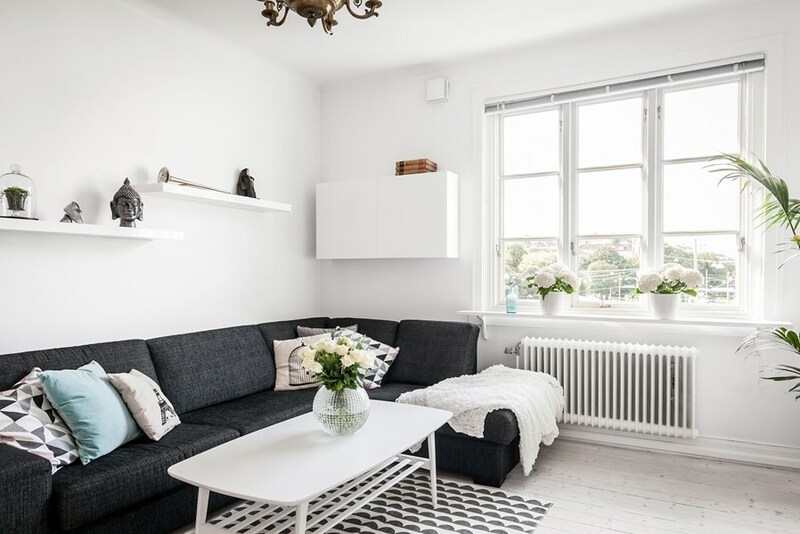 This apartment with an area of ​​69 m² has a simple arrangement in white, black and gray. 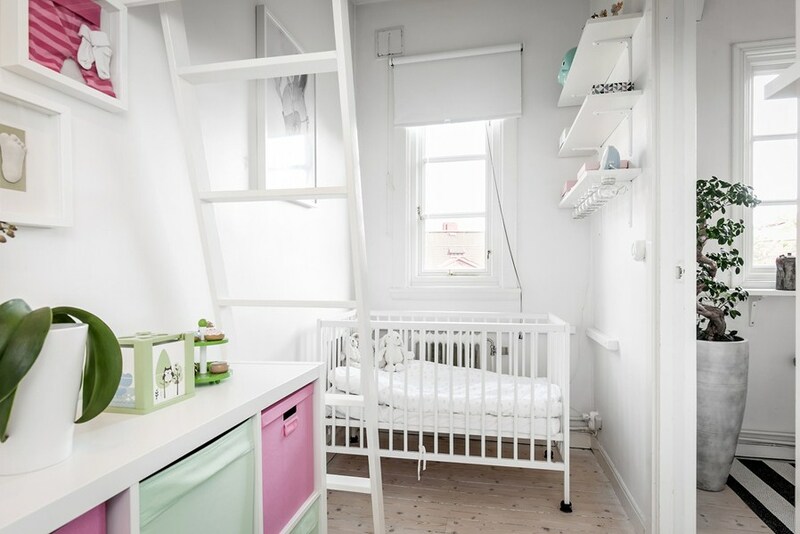 The only splashes of color are in the nursery. 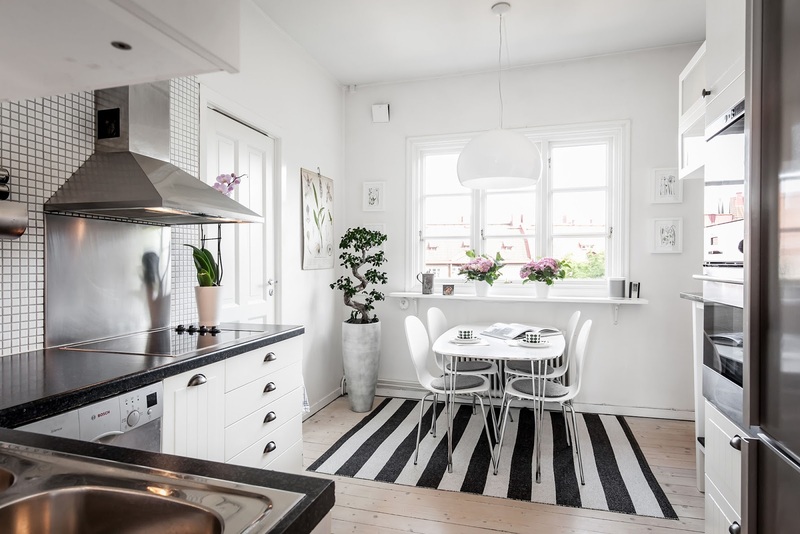 If you want a sophisticated home, we recommend you to play with black and white in approximately equal proportions, insisting on white. 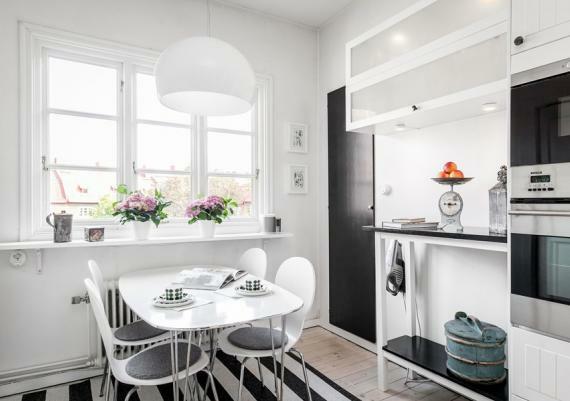 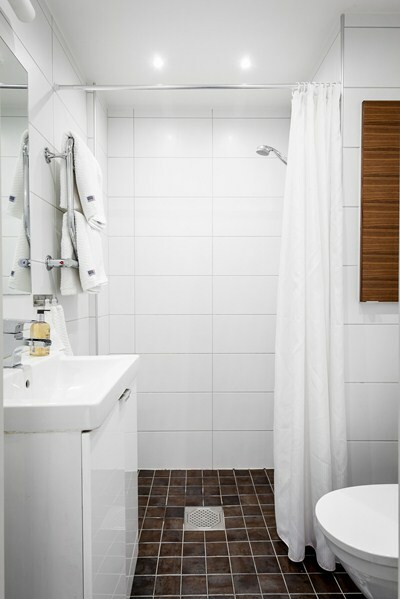 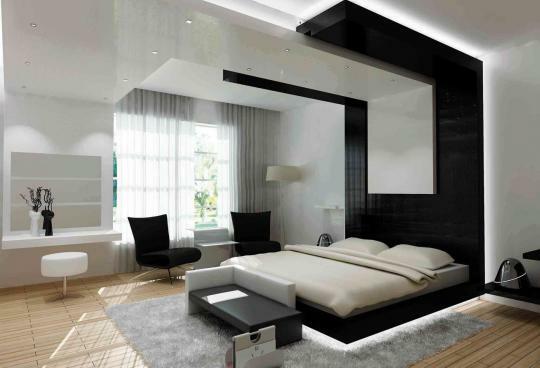 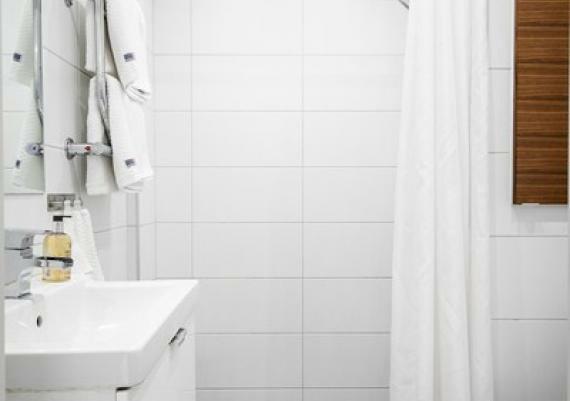 Rarely you will find in residential design in black and white that you have all the walls black, but this isn't means it can be impossible. 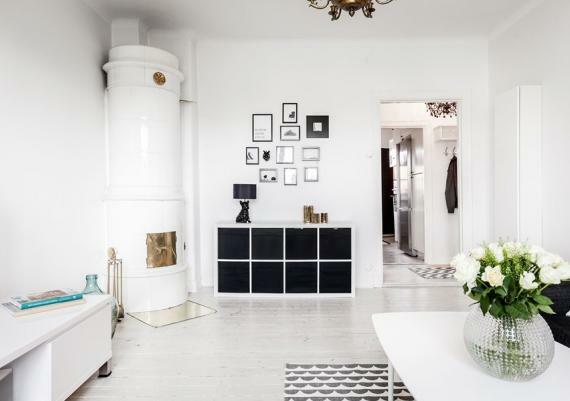 If you choose to paint the walls in black, then I hope you have large windows and natural light inside your house is properly in most of the day.